Not not at all, just not at home. Every day, over ten Irish women travel to the UK for abortion services. Ten women of varying age, income and background. They are forced through our airports and our ferry channels, swept under the rug, ignored and pushed away. On May 25th, Irish citizens will vote on whether or not to repeal the Eighth Amendment to our constitution - the one that prohibits termination of pregnancies on virtually all accounts, and deems any woman seeking termination, or any doctor who performs one, a criminal. Amnesty International has claimed the Eighth Amendment to be a violation of human rights. An Irish woman is, by way of our laws, not in control of her own body. Her choice is stripped from her entirely. Whilst travelling to work last week, inundated with posters willing me to keep the Eighth Amendment in place, I spotted one so truly shocking it stopped me in my tracks. It read, in bold red print, “In England, 5 babies are aborted every day. Don’t bring this to Ireland.” This sign, so ignorant in its phrasing, so ancient in its expression, made me want to cry. "While in many ways Ireland has grown into a modern nation - the legalisation of gay marriage in Ireland was the first to be achieved by popular vote in the world - in many others, we have simply transmuted our oppression from one form to the other." Ireland has a long history of shame. A devout Catholic country, Ireland has been in the game of ostracising women, and turning a blind eye to their strife for hundreds of years. For this sign to suggest that so-called “evil” deeds do not happen on our shores is a deeply unsettling fudging of history. “Don’t bring this to Ireland” suggests our country is a utopia, a place where the want or need for abortions does not exist, a place where the subjugation of women is not a problem. The reality could not be further from this statement. While in many ways Ireland has grown into a modern nation - the legalisation of gay marriage in Ireland was the first to be achieved by popular vote in the world - in many others, we have simply transmuted our oppression from one form to the other. The Magdalene asylums are a perfect example of this. These institutions, usually run by the Catholic church, were for 'fallen women'. Some of the institutionalised girls were prostitutes, others were simply ‘promiscuous’. Others had fallen pregnant, and were forced to carry these babies to term and live in the asylums, in horrifying poverty. Many of these children and babies ended up dying of malnutrition and disease, their deaths covered up by the Church and only discovered upon the exhumation of a mass grave in Co. Galway some four years ago. "The 'fallen' women of Ireland are no longer sent to institutions in droves, but instead are forced onto planes, forced out of the public eye, pushed to the margins and ignored by the country that is supposed to be our home." These institutions are a perfect example of the way Ireland has treated its women in the past, and the Eighth Amendment is the perfect example of how it continues to treat women: as second rate citizens. The 'fallen' women of Ireland are no longer sent to institutions in droves, but instead are forced onto planes, forced out of the public eye, pushed to the margins and ignored by the country that is supposed to be our home. This simply cannot continue. 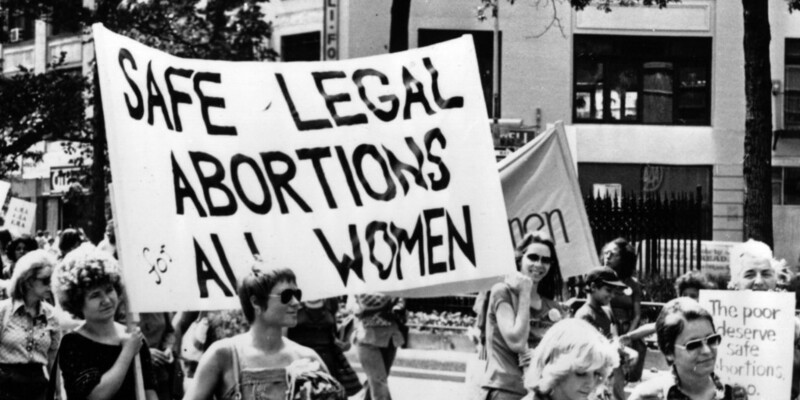 How can our nation call itself a modern one, when women are not afforded basic human rights? It is time Ireland takes care of its own people, and no longer lets its women be shrouded in shame. I urge those reading to please, if you can, shed some light on this issue that affects every single girl in the world. And to those of you reading from our Emerald Isle: please vote. #RepealThe8th. Your vote in this referendum is a vote for trusting women. It is time to reclaim our bodies.